Pineapples are much-discussed by those trying to conceive as their cores contain the enzyme bromelain, which is a natural anti-inflammatory which some believe could help implantation. Now, the online fertility magazine ivfbabble is using pineapples as part of a campaign of solidarity for those experiencing fertility problems. Their “stronger together” campaign is a brilliant idea which aims to bring people together and to make us all realise quite how common fertility problems and that we are not alone. You can read more about the pineapple pins here – www.ivfbabble.com and you can buy the pins directly on Amazon or from ivfbabble and any profits from the sales will be donated to Fertility Network UK. 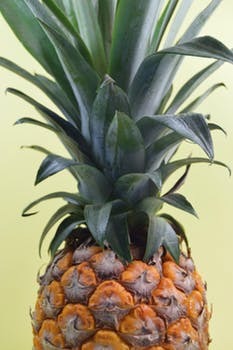 This entry was posted in Advice and support, fertility, infertility and tagged bromelain, Fertility Network UK, fertility problems, infertility, IVF, ivfbabble, natural anti-inflammatory, pineapple core, pineapple for fertility, pineapple pin, strongertogether by fertilitymatters. Bookmark the permalink.